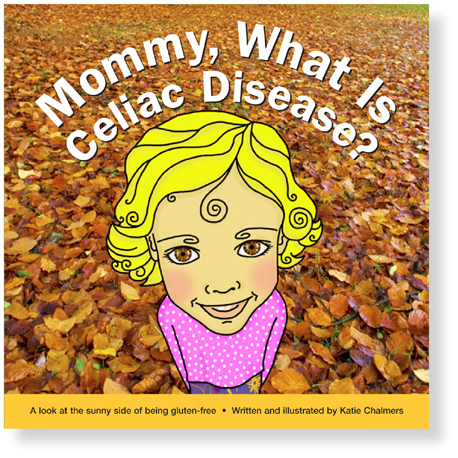 Katie Chalmers, author and illustrator of the unique children’s book, titled, Mommy, What is Celiac Disease? creatively answers these and many more questions, using positive dialogue and captivating artwork. diagnosed with Celiac disease, because they are now on the path to better health. of a Celiac to understand it more clearly and to see the sunny side of gluten-free. • Its original style: a combination of colorful illustrations and photography.